Work smarter, not harder. Build business, reduce your number of site visits and grow your bottom line. Up-to-date HD aerial maps helps you swiftly produce better quotes with stunning visuals, precise measurements and greater accuracy. Nearmap captures 72 percent of the total US population, often multiple times per year. 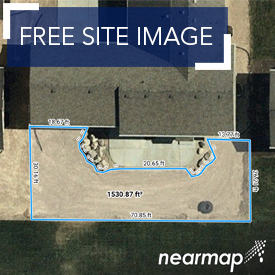 Leaf-off surveys aid landscape design, and Nearmap’s affordable imagery lets you compete for bigger and better jobs. Far more reliable than satellite, current aerial maps stream instantly from the cloud. View and measure through MapBrowser or integrate further with Autodesk/AutoCAD, and other popular design platforms.